MCC’s Advisory Council held its fourth meeting today at MCC headquarters. 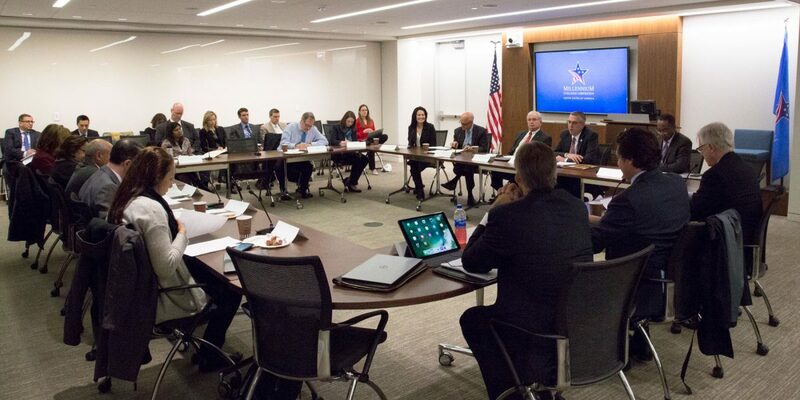 The gathering brought together Council members with deep subject area expertise representing a variety of U.S. industries to discuss MCC engagement with the business community. 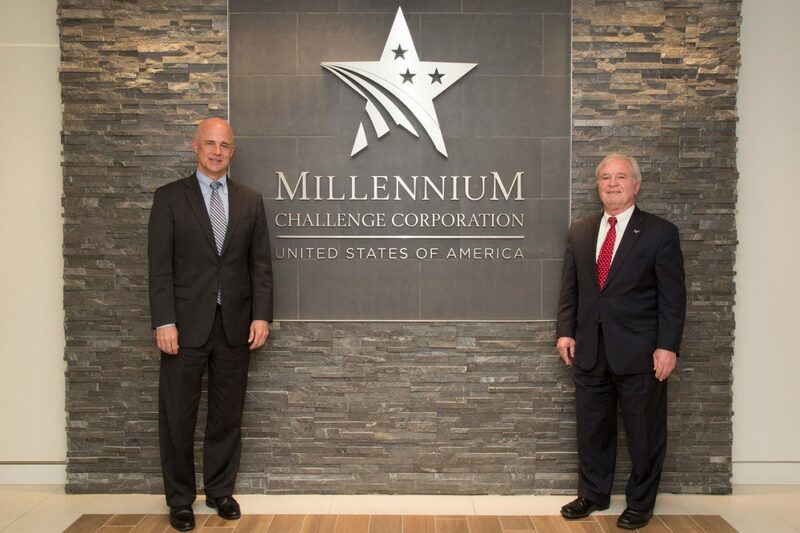 Since its inception, the Millennium Challenge Corporation (MCC) has sought to engage the private sector as a key part of its mission of “Reducing Poverty Through Economic Growth.” Now in its 14th year, the agency has a strong foundation of experience and best practices gleaned from working with the business community to build upon. Yet how to best draw on the past while innovating new approaches that accelerate, scale and routinize effective private sector engagement remains a work-in-progress. With these pressing and important questions in mind, MCC’s Advisory Council held its fourth meeting today at MCC headquarters in Washington, D.C. The gathering brought together Council members with deep subject area expertise (e.g. agriculture, IT, finance, infrastructure), representing a variety of U.S. industries, to provide specific feedback on agency plans, as well as advice on how MCC can improve its engagement with the business community. As co-chairs of the Advisory Council, we see MCC’s global engagement as benefiting the private sector in multiple ways. Far beyond narrow business interests that may stem from MCC grants, members of the Council strongly support the agency’s broader efforts to grease the skids for investment in emerging markets. MCC’s commitment to improving policy and regulatory environments and cutting corruption in partner countries is critical to increasing foreign direct investment, which in turn drives growth, jobs, as well as economic and national security. We applaud and fully support the agency’s efforts to promote the private sector through its work. Increase and scale MCC’s impact through the creation of new engagement strategies with businesses including leveraging regional compacts. Now a teenager, MCC is no longer a newcomer on the international development stage. With its unique model and mission validated, MCC needs to stride forward, more confident and surefooted than it was in its early days. Along the way, members of the Council will continue to work with and challenge the agency to actively engage with the business community and to continue to innovate and modernize how it delivers development assistance. This work could lead to new, scalable models of blended finance; the creation of a ‘technology lens’ through which to examine and design twenty-first-century development interventions; or new types of private sector partnerships that effectively involve the business community during the earliest stages of program design, helping to turn millions into billions, and billions into trillions of dollars of investment value in emerging markets. While these are just a few of the ideas being discussed by the MCC Advisory Council, we look forward to continuing our work with the MCC to help the agency write the next chapter of what already is turning out to be an exciting story. About the Authors: Timothy Docking, Ph.D., and Mima Nedelcovych, Ph.D. serve as co-chairs of the MCC Advisory Council. Editor's Note: This entry originally appeared on the MCC's blog. The opinion expressed herein is that of the authors only, and should not be construed as an express or implied endorsement by MCC or the U.S. Government. Learn more about MCC’s Advisory Council and the agency’s work with the private sector.